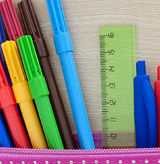 Free delivery and promotional codes for stationery and office essentials at ryman.co.uk. Enjoy free next working day delivery or free click and collect from a local store on all orders over £30. Returns are not a problem and get a 10% youth and student discount for 18 to 26 year olds. 20% off first orders for email subscribers and up to 50% off RRP and multibuy offers. T&C’s: Voucher is valid online only until 05/03/2017 inclusive. Enter code at the checkout when ordering online to receive 15% off. Only one voucher per customer, per transaction. Discount cannot be applied retrospectively. No cash alternative. The offer excludes: Gift Vouchers, EPAY products, Post Office products, DHL services, Charity Products, Kindle, Tablets, PC Software, Cameras, Printers, Hard Drives, DAB Radios, Bluetooth Audio, Red Letter Days Experiences, Apple products and where products state they are not eligible for discount. Cannot be used in conjunction with Business or Student discount. Ryman offers Free Standard Delivery or Next Working Day courier delivery on all orders that are received by 4pm and delivered to mainland addresses in England, Wales and Scotland. See Ryman.co.uk for up to date prices. Prices are subject to change without prior notification. Products subject to availability, while stocks last. Plus free next day UK delivery on orders over £30 or free click and collect from store. Voucher is valid online only until 20/02/2017 inclusive. Enter FEBSAVE at the checkout when ordering online to receive 15% off when you spend £40 or more. Only one voucher per customer, per transaction. Discount cannot be applied retrospectively. No cash alternative. The offer excludes: Gift Vouchers, EPAY products, Post Office products, DHL services, Charity Products, Kindle, Tablets, PC Software, Cameras, Printers, Hard Drives, DAB Radios, Red Letter Days Experiences, Apple products and where products state they are not eligible for discount. Cannot be used in conjunction with Business or Student discount. Cannot be used in conjunction with cashback. Ryman offers Free Standard Delivery or Next Working Day courier delivery on all orders that are received by 4pm and delivered to mainland addresses in England, Wales and Scotland. See Ryman.co.uk for up to date prices. Prices are subject to change without prior notification. Products subject to availability, while stocks last. Images are representative only. Free Standard or Next Working Day delivery on all orders over £30 (inc VAT) when ordered by 4pm. Shop at Ryman, the UK’s leading stationer with a massive range of all things stationery from home to the office they have it all. Ryman offer a range of home and office essentials with free delivery available. Ryman are one of the most popular online and high street stationery suppliers in the UK. They offer a massive stock of home and office stationery supplies, plus a range of printers and cartridges. The store was first established way back in October 1893 by Henry Ryman when he opened a shop on Great Portland Street, London. Since then the Ryman name has been synonymous in the stationary world with products to cater for both the office and home user as well as providing those essentials for school, college and university. Ryman’s trained staff are able to offer expert product knowledge in-store and online, they can be contacted by phone, email or in a local store. Prices are always competitive with extra discounts available using voucher codes when shopping online of regular promotions when shopping in-store with free delivery on orders over £30. Over the years, Ryman have grown and expanded their product range and are able to offer the very best selection in stationery, office supplies, electronics, office furniture, arts and crafts. Customers can browse through the comprehensive website or shop in more than 220 stores across the UK. Ryman are able to offer business accounts and special discounts and promotions for students coupled with expert product knowledge and are committed to giving their customers the very best products at the very best price with next day delivery available.